Racing uniforms stand out from every other uniform in sports because every aspect of the uniform without exception is specifically designed to protect the driver first, and look good second. 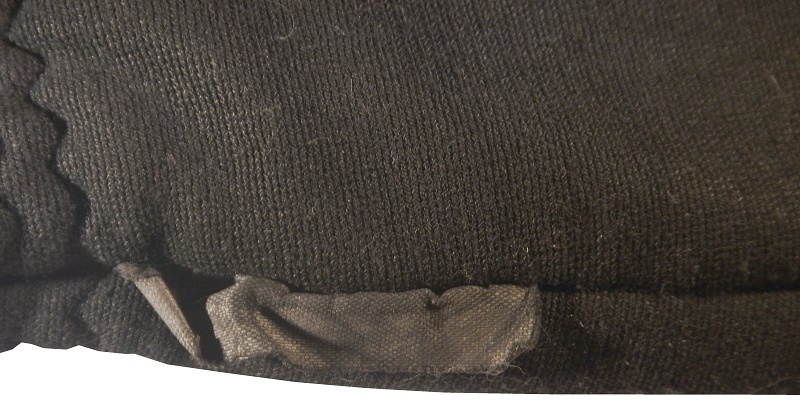 Unlike in baseball, football, or hockey, where a couple of the visible items protect the wearer, every piece of the uniform, from helmet to boots is designed to protect the driver. One of the more vulnerable areas a driver has is their hands. If a drivers hands are injured, they can’t control their cars, or exit their cars in the event of a wreck. Funny Car drivers have the toughest glove setup in all of auto racing. Ranked as #27 on the list of the NHRA’s 50 Greatest Funny Car Driver by Motorsport.com, Big Jim Dunn raced for over 40 years as a driver. He could win races driving some of the tougher cars in the series. Dunn began racing in 1953, at the age of 19. By 1965, he was running in Top Fuel, and by 1969, after winning the NHRA Division 7 championship, he switched to Funny Car. 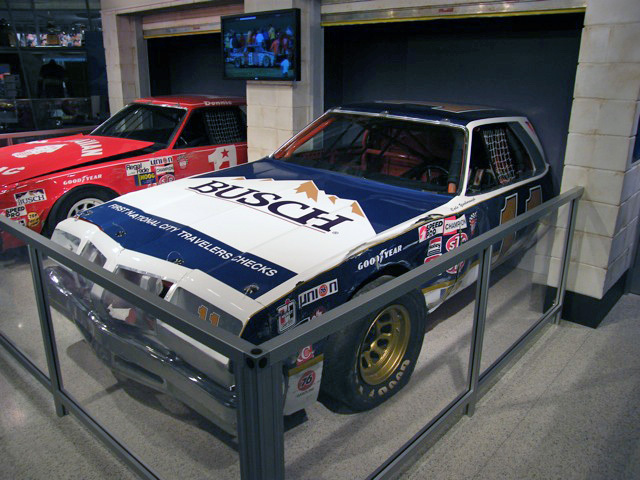 He raced until 1990, when he retired as a driver, and switched to team owner. He’s had success as a crew chief, technical adviser, and a team owner. His son Mike has 22 wins, was a long time announcer for the NHRA television team on ESPN, and is currently the president of the IHRA. At the beginning of the 2015 season, Dunn had to fire driver Jeff Arend due to Grime Boss leaving as a sponsor. Replacing Arend was John Hale. Hailing from Addison, Texas, John Hale currently races for Jim Dunn Racing. He is also active in the Nostalgia Funny Car series in the NHRA. 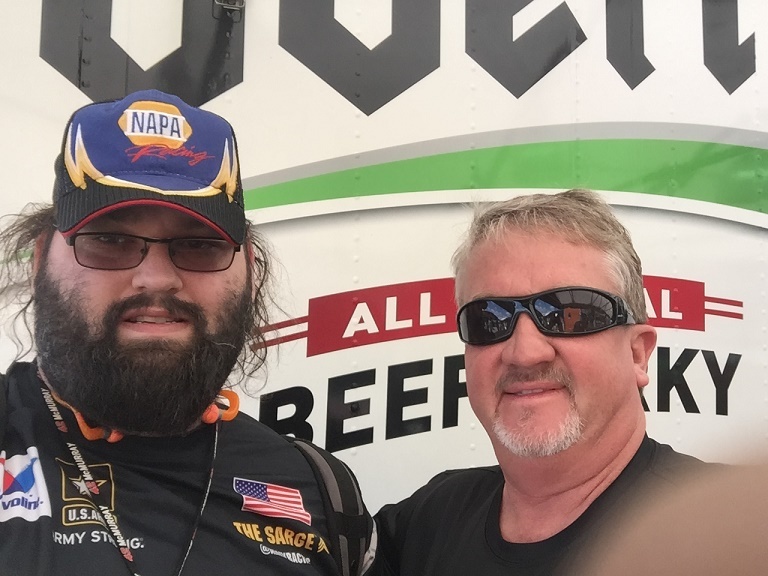 Although he doesn’t have a race win, he finished in the runner up position at the Gatornationals in 2015. 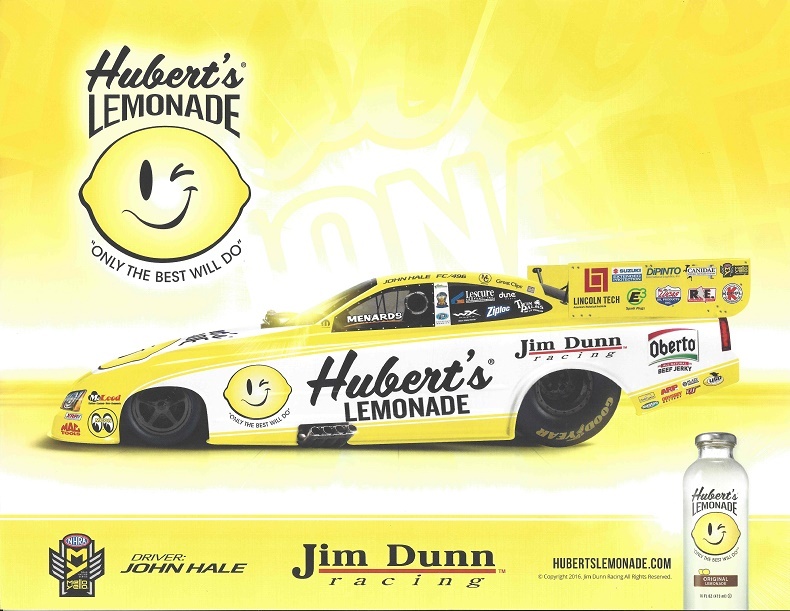 He also won a Wally for his Hubert’s lemonade scheme at Norwalk in 2016. 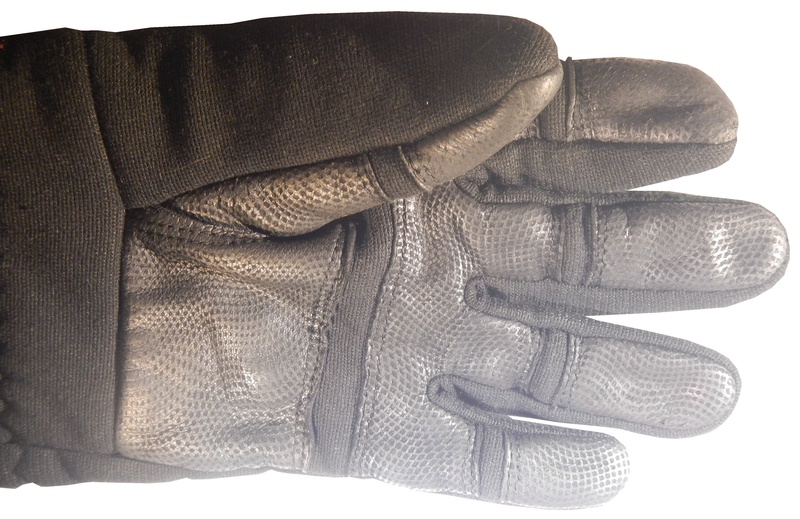 Funny Car drivers wear two sets of gloves while driving. 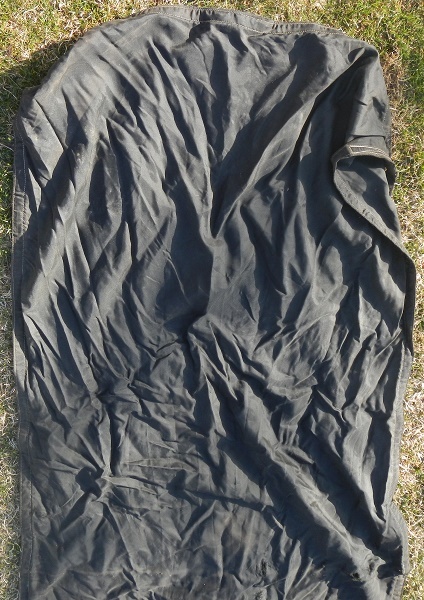 One set is similar to what firefighters are wearing. 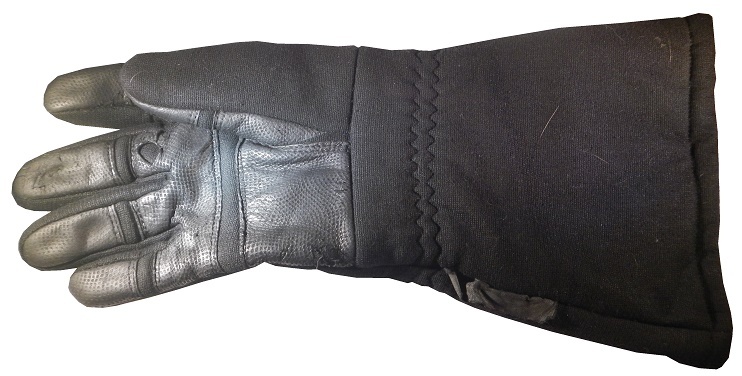 The other is a thick set of gloves that extend all the way up to just below the elbow. They require a crew member to help put them on. 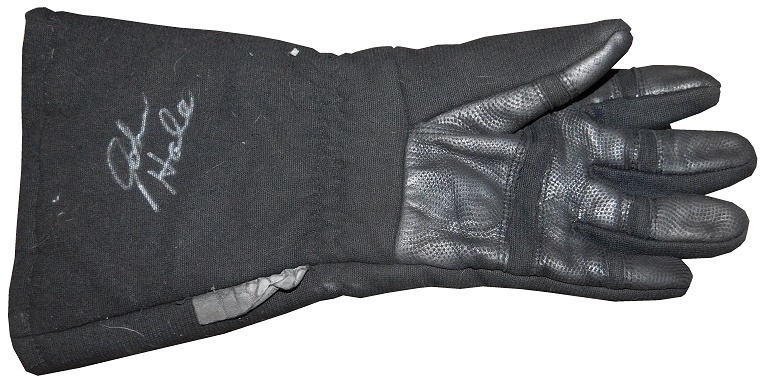 This set of gloves worn by John Hale is a perfect example of those gloves. 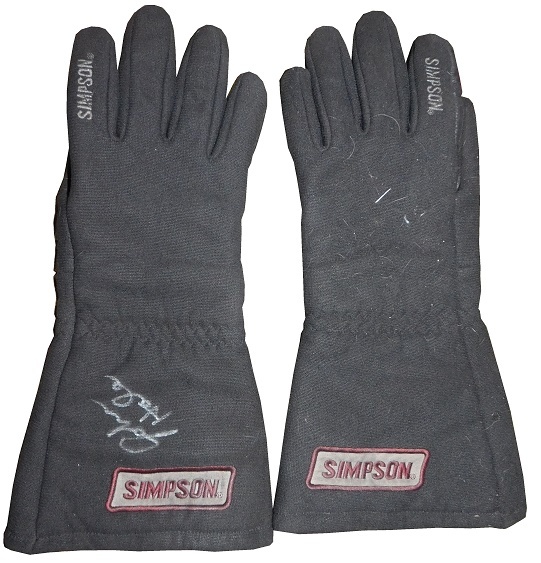 These Simpson SFI 20 rated gloves show decent use with scuff marks and material loss. 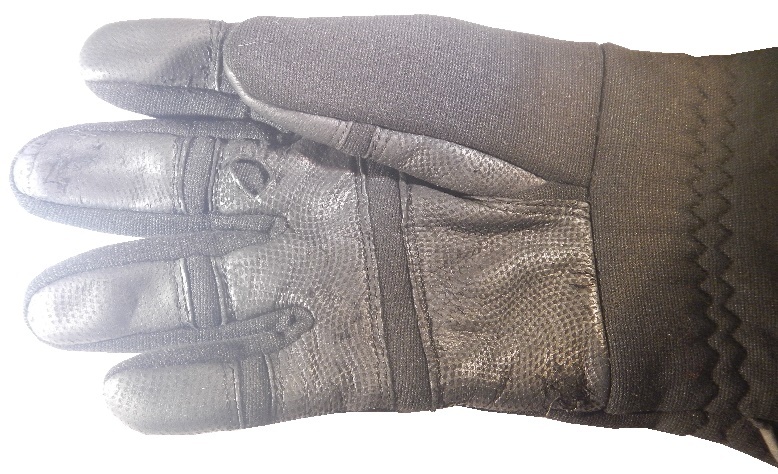 These gloves are changed several times per year, due to wear. 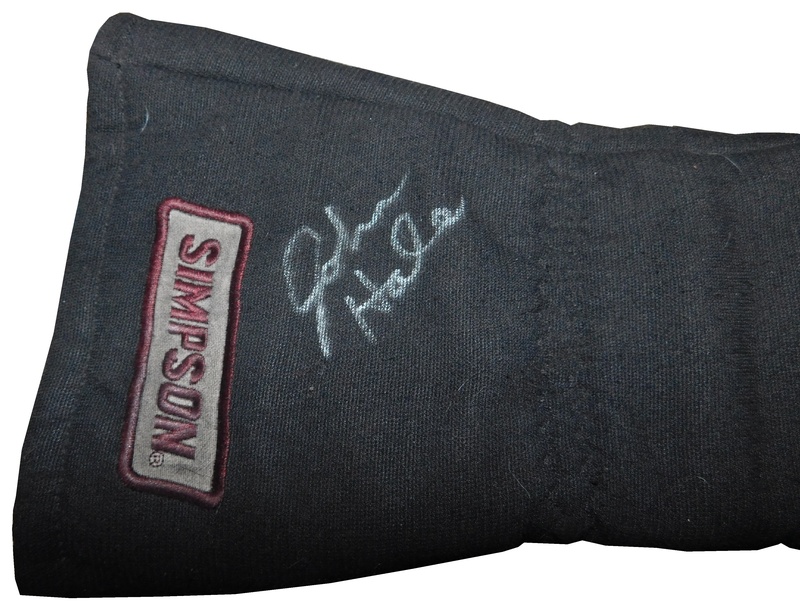 John has autographed both gloves. 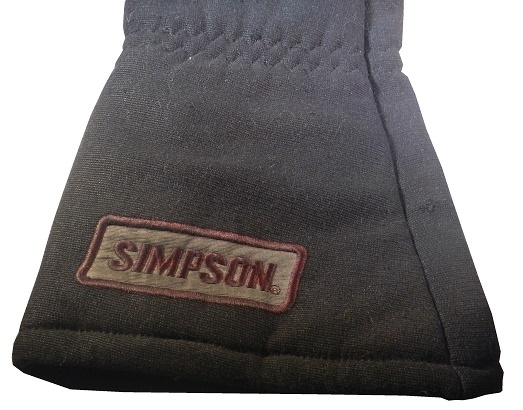 The right glove has some material loss on the palms, the tag has been destroyed by race use, and John has autographed the glove on the top, near the Simpson logo. 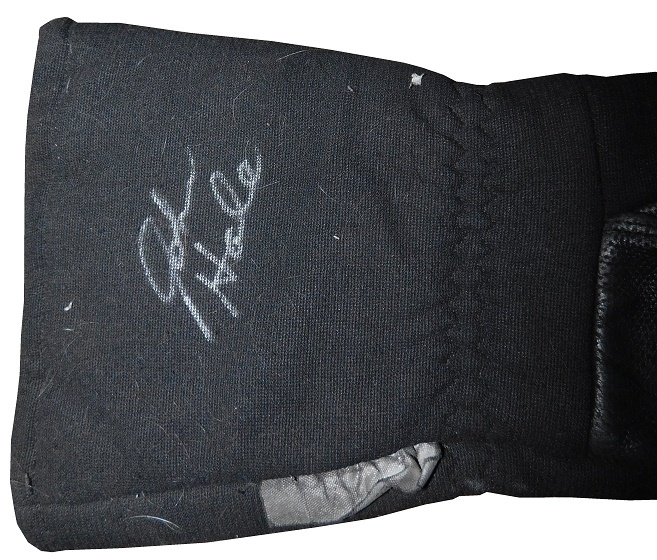 The left glove features some light wear on the palms, like the right glove, the tag has been destroyed through race-use, and John signed the bottom of the glove, near the top of the cuff. John also signed this Hubert’s Lemonade hero card. It’s interesting in that it’s a dual-sided card, where both sides of the card are exactly the same. 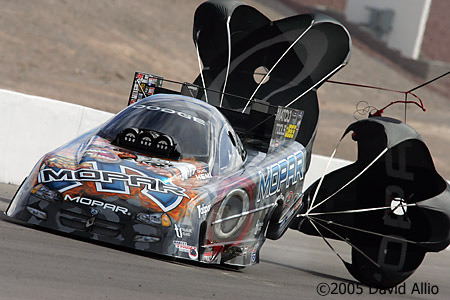 Funny car drivers wear 20 pounds of equipment while racing 2,600 lb, 10,000 horsepower cars at 330 MPH. The dangers of failure are all too obvious. There have been many drivers that have given their lives for the sport they love. Next week, I’ll show some of the perks of winning a national event in the NHRA. Joe Nemechek has his flame-broiled Burger King Chevy Monte Carlo from 1995. The flame has a yellow-red fade in it, and it’s a unique design, which looks good. The flames to black design looks decent, the white outline isn’t needed. 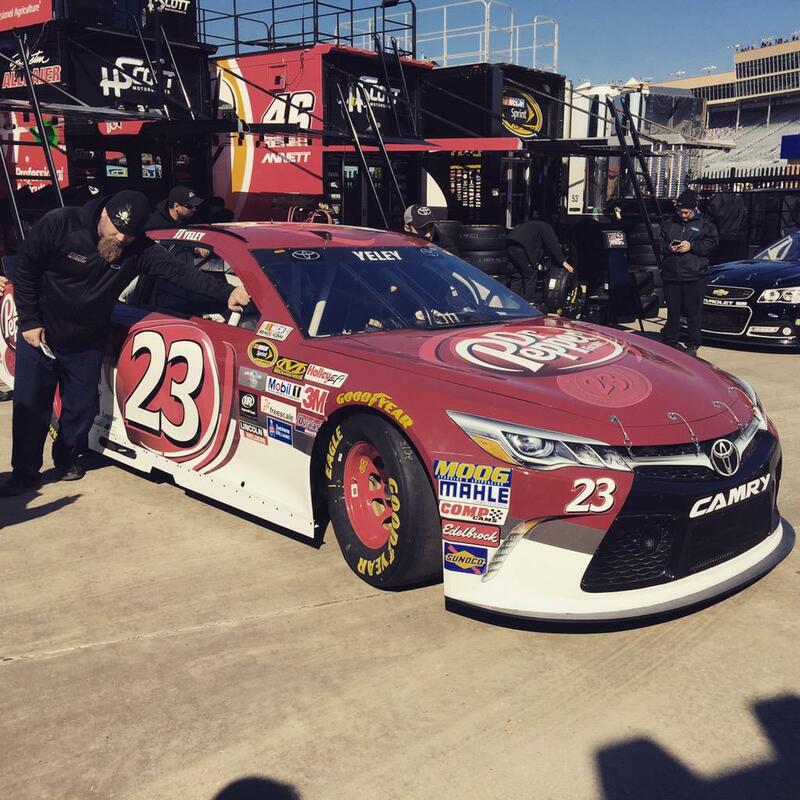 I do like the side logo working well with the wheel well, and I also like the Coke cup logo just behind the wheel. I also like the Precision Gear logo is placed perfectly in the flames. It’s a unique, and really good scheme. The third in the die cast series, this episode shows the die casts I’ve acquired since the last episode. Austin Dillon #3 Dow/Hefty Energy Bag Chevy SS-Same basic scheme as Dow, same B+ grade. Austin Dillon #3 Pumpkin Spice Cheerios Chevy SS-The whole motif looks good, though I think that the orange is too light. Still, it’s worth a B+. Regan Smith #7 Citizen Solider Film Chevy SS-Camoflague rarely works well on race cars, and the use of white and red camouflage just looks awful and earns an F.
Landon Cassill #38 The Pete Store Ford Fusion-Reversing colors can be hit or miss, and this is a hit. Red is always a solid race car color, and the black stripe looks good. 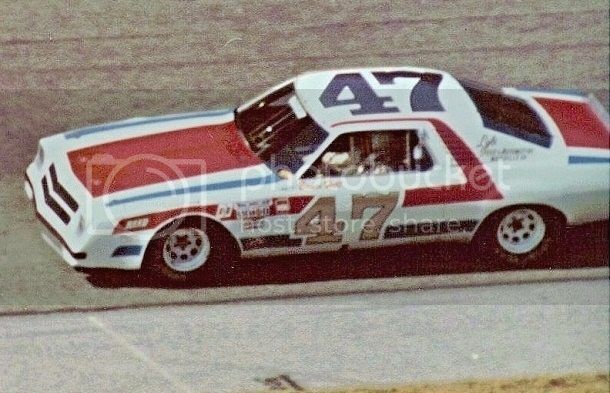 It earns an A.
Brian Scott #44 Jewel-Osco/Ritz/Triscut Ford Fusion-Same basic scheme as Dow, same A grade. AJ Allmendinger #47 Kroger’s/DiGiorno’s/Scott Chevy SS-Same basic scheme as Kroger’s, same A grade. Matt DiBenedetto #83 NASCAR Heat Evolution Toyota Camry-Orange and black can be a decent scheme, but this orange is too dark. The cutting edge designs aren’t working well either. The black background looks good though, so averaging out, it earns a D.
Michael McDowell #95 Rat Rods Chevy SS-Rusted light blue is a unique look, and this scheme is a great scheme! It looks good and earns an A. 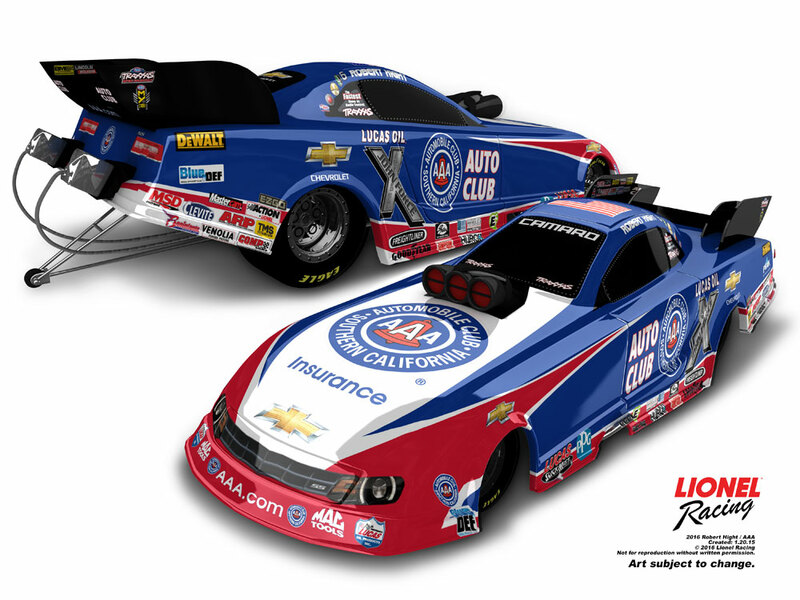 When Del Worsham won the Funny Car championship last year, he joined an exclusive group. 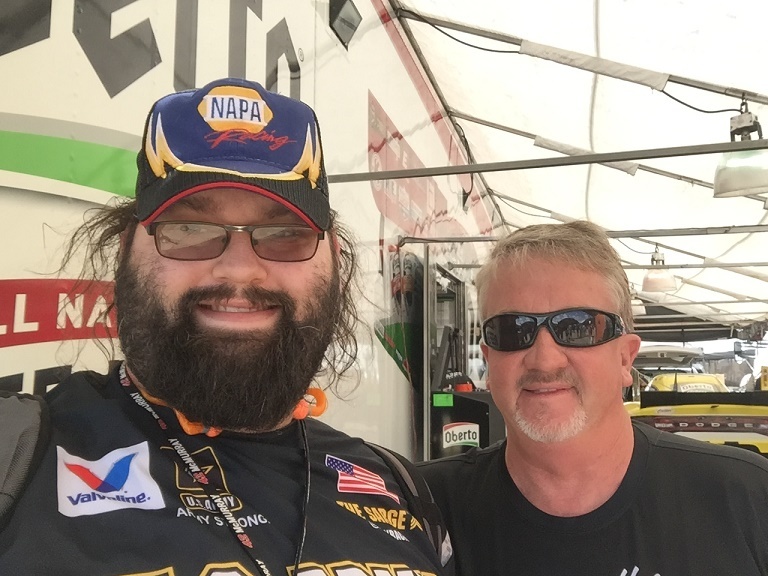 He is one of three drivers to win the Top Fuel and Funny Car championships in the Mello Yello Drag Racing Series. Worsham won the Top Fuel championship in 2011. He joins Kenny Bernstein who won the Funny Car championship in 1985, 1986, 1987, and 1988, switching to top fuel in 1992, and winning the championship in 1996 and 2001. The other driver to achieve this is Gary Scelzi, who won Top Fuel in 1997, 1998, and 2000. Sclezi switched to Funny Car in 2002, and won Funny Car in 2005. Gary Scelzi, known as “Wild Thing” hales from Fresno, California, where in 1979, he co-founded Scelzi Enterprises, Inc., a truck body manufacturer with his two brothers. He got into drag racing, and made his way to the Mello Yello Drag Racing Series, then known as Winston Drag Racing. 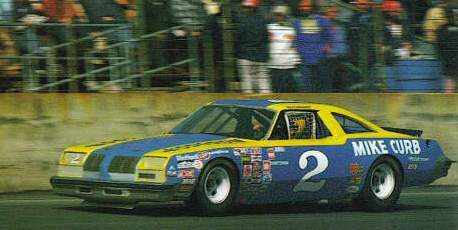 Scelzi was a championship-caliber driver in a sea of very talented drivers. He was a respectable driver in Top Fuel. In 2001, he lost his Winston sponsor for Top Fuel, and moved to Funny Car with a new sponsor, White Caps, and a new Toyota Celica. The Celica wasn’t a good move, and Sclezi left the new team midway through the season. In 2003, Scelzi signed with Don Scumacher Racing to race a Dodge funny car sponsored by Oakley, and he took to it like a duck to water. In 2005, he won his first, and only Funny Car championship, beating a very strong John Force Racing team of John Force and Robert Hight. 2005 was the first time that a non-John Force Racing car won the Funny Car championship since 1992. Scelzi retired in 2008, after a long career to focus on his family business, and his midget racing team. 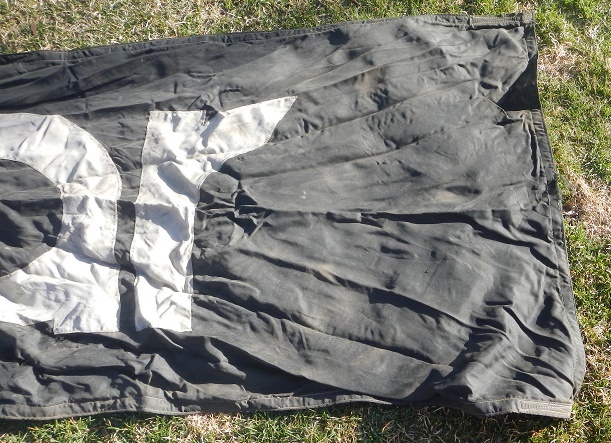 One of the best tools at a drag racer’s disposal is the parachute, and for Scelzi, that was no different. You can’t be the first driver to reach 330 MPH in a funny car without a good parachute to stop the car. 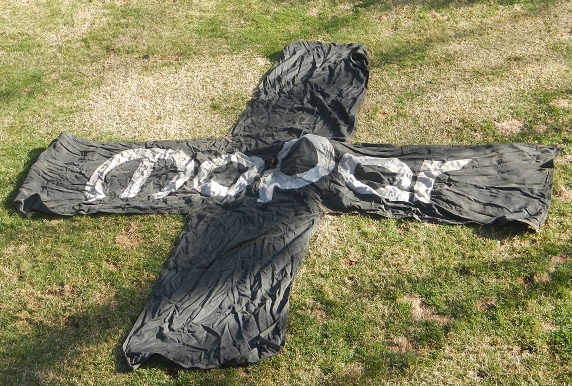 Scelzi raced with many different parachutes throughout his career, and this 12′ x 12′ Mopar example from his days with Don Schumacher Racing. 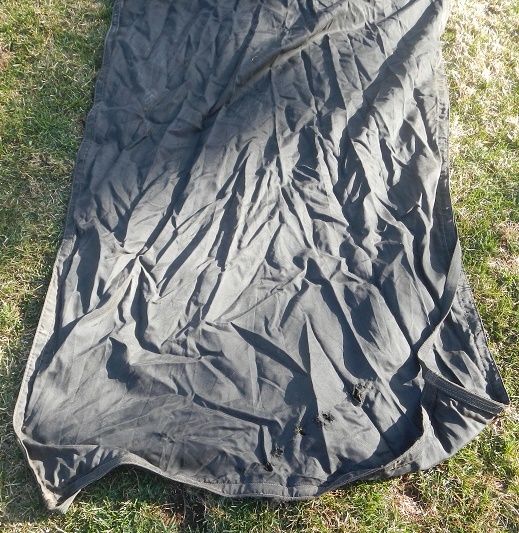 It shows heavy use with numerous scuff marks, and holes. It also has a lot of stains as well. I had to photograph this on my front lawn to show the full scale of the suit. 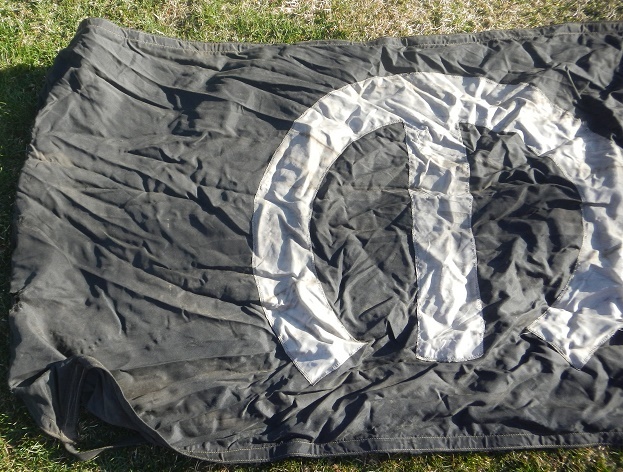 The silver MOPAR lettering shows wear, with popped stitching, and lots of staining across the letters. 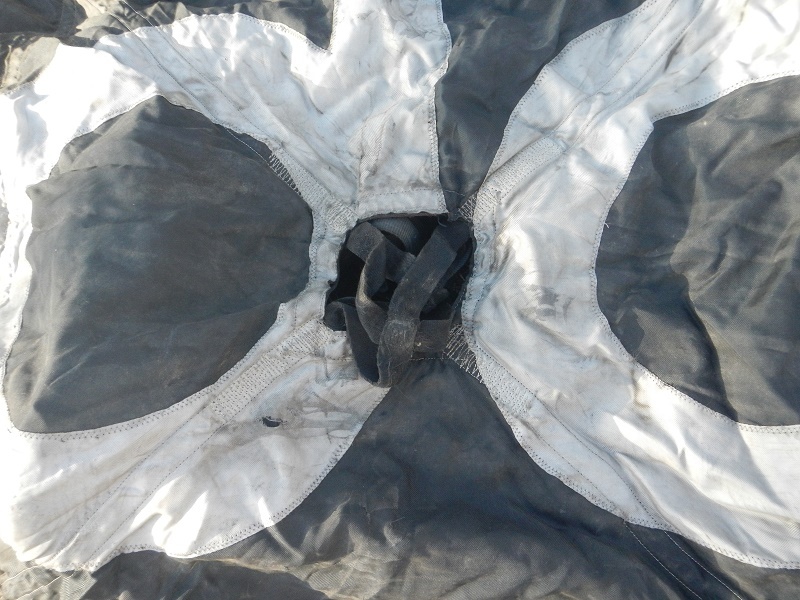 The very center of the parachute has the opening that lets air through the center, and has the straps where the pilot chute is attached. 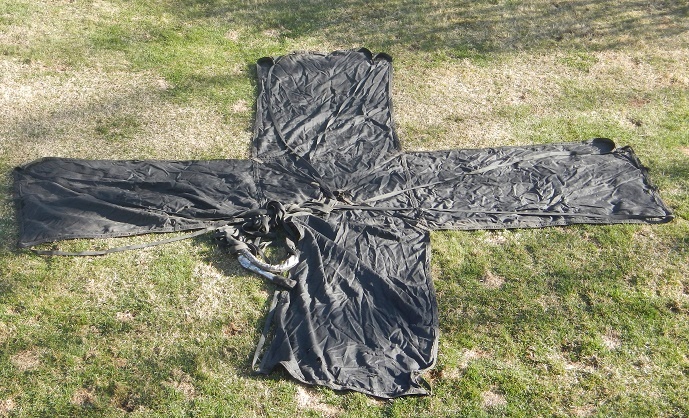 All four corners of the cross-form parachute show wear, in the form of scuff marks and holes. 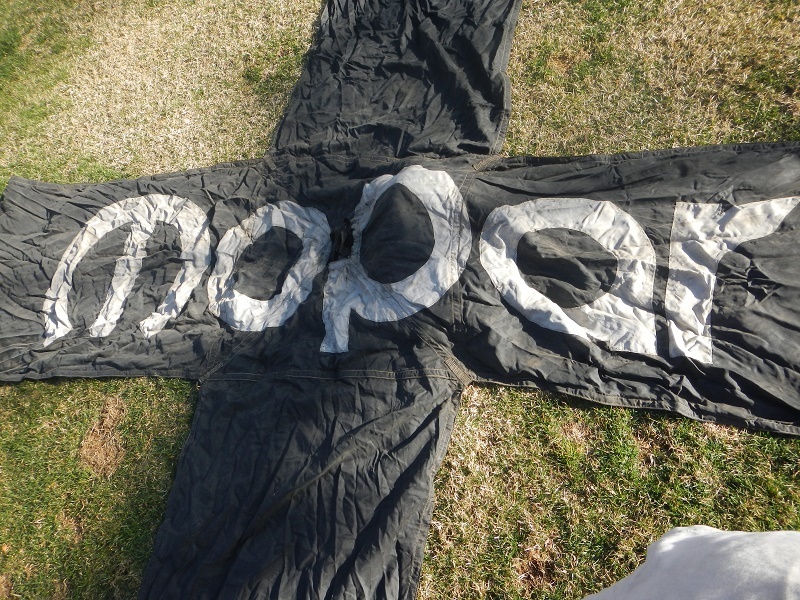 While some parachutes had logos on both sides, this one only has the Mopar logo on one side. 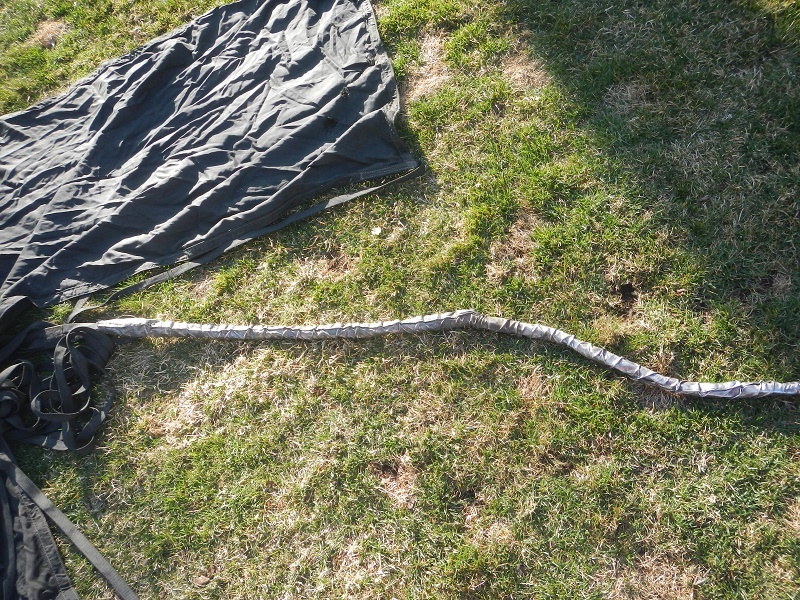 The cord that attaches the parachute to the car is still present, and wrapped in a silver Nomex material to prevent damage in the event of a fire. Gary Scelzi is the first funny car driver to reach 330 MPH. It proves that race cars are getting faster all the time. The parachutes are proof that race cars are getting safer as well. 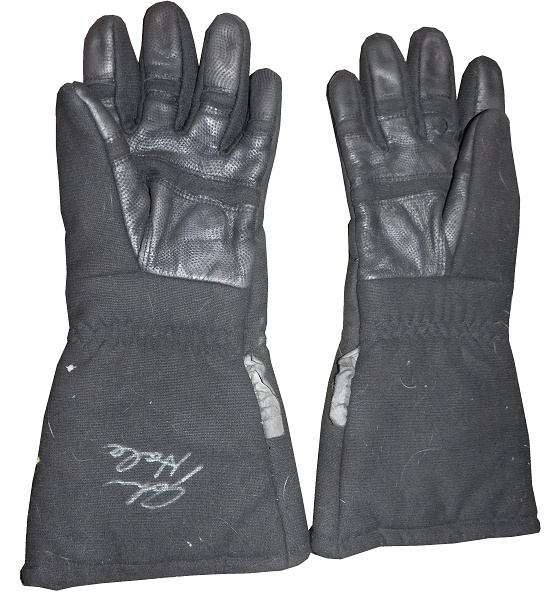 Next week, I will examine another critical piece of safety for funny car drivers…the gloves. Skoal makes its first appearance in this 1995 Chevy Monte Carlo, driven by Robert Pressley. 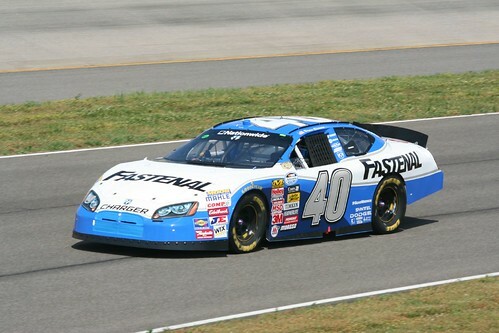 I like the design of the car, it looks like a modification of the Terry Labonte Kellogg’s scheme. I like the shade of green used. 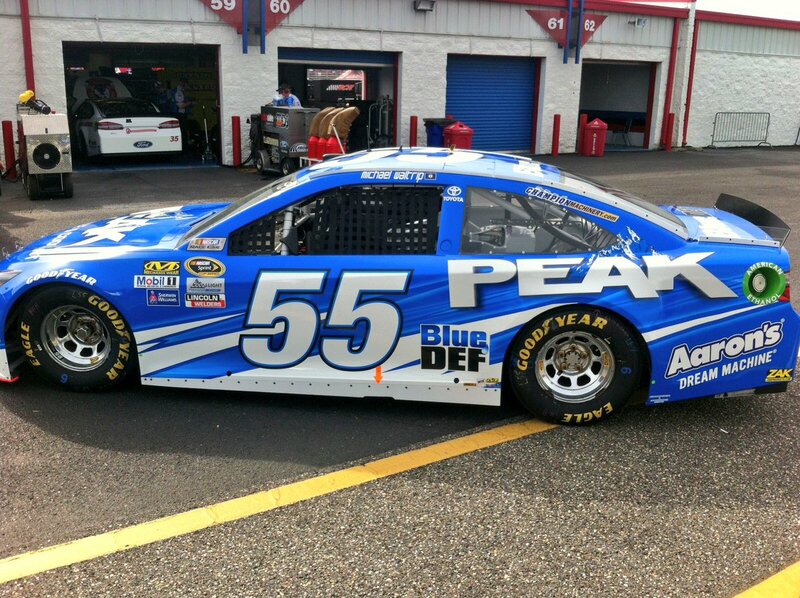 The big Skoal logos used on the sides are cut off by the wheel well. I also wish that the Skoal Bandit logos on the sides were bigger, but I do like the use of the Bandit logo to tell the pit crew where to put the jack. It’s a good look.